My family and I just returned from vacation. We had a great time…fabulous. With my daughters getting older, we decided to go someplace new, someplace none of us have visited before. 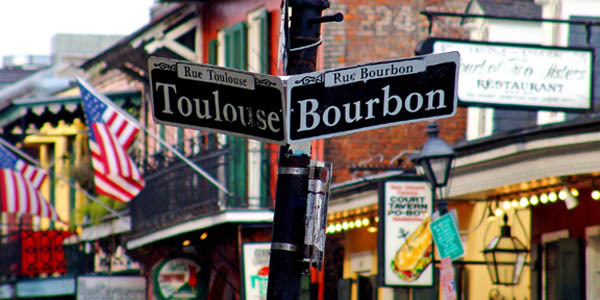 We all love food and music, so we chose New Orleans. We enjoyed a steamboat ride on the Mississippi, New Orleans jazz, historical museums, and great food. Some friendly New Orleans’ natives even taught us how to eat crawfish (delicious but a lot of work for the food). It truly was a great family trip. The whole thing made me think about the benefits of a family adventure. The adventure of a family vacation presents new experiences for the whole family. It teaches everyone in the family something new and builds stronger, healthier bonds within the family in at least 5 ways. Family adventures enhance communication. Family members have to communicate schedules, what they would like to do, when they get tired or hunger…the list goes on. Each family member learns to listen and speak with clarity as the whole family navigates new terrain, maneuvers unique circumstances, and designs mutually enjoyable experiences. Family adventures teach problem-solving skills. Let’s face it—most of us can’t do everything we want to do while on a vacation. We lack the financial resources and the time. Instead, we have to pick and choose which activities we will enjoy as a family and as individuals. This requires keeping other family member’s interests and possible scheduling issues in mind. It will demand negotiation and compromise. These, along with communication (see #1), are all great problem-solving skills. Family adventures gives us a broader, healthier perspective. Whether we experience the vastness of the sea, the majesty of the mountains, the power of the “mighty Mississippi,” or the amazing variety of cultures in our world, we gain a deeper perspective of life. We experience moments of awe (which carries its own benefits as described in Using the Power of Awe for Your Family) and a growing appreciation for the diversity of the world around us. Family adventures increase each family member’s confidence. Each adventure we navigate represents a new accomplishment. Each time a family member does something new—whether it be eating a new food, windsurfing, getting directions from a stranger, catching a fish, or hiking to the next lean to—they gain confidence in themselves and their abilities. We learn that each time we safely step out of our comfort zone we raise the chances of new opportunity. My daughter learned this in New Orleans when she approached a pianist to talk about his experiences on Broadway. During the conversation, he asked her to sing a song with him…and she did (see video below). A great experience and a great confidence boost. All in all, family adventures help families grow. They bring out the best in all of us as individuals and as celebrating communities of honor and grace. Now get out there and have a fun adventure! So very true John. There have been many times when our annual family beach vacation was not really in the budget. I, however, never looked at it as a luxury but a necessity for the very reasons you listed.Even with a few minor disasters and disagreements we always come back looking forward to next year.